In 2002, the US Department of Justice and EU regulators ordered Microsoft to publish documentation sufficient to allow third parties to interoperate with hundreds of its server and client programs. This presentation highlights the novel requirements engineering and model-based testing devised to validate the resulting 60,000 pages of API documentation. This process resulted in over 50,000 defect corrections. Lessons learned from this project can improve quality, reduce costs, and facilitate interoperability of any complex system. 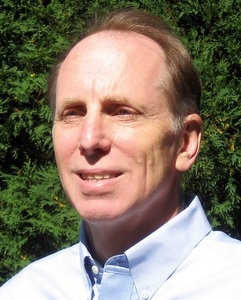 Robert V. Binder is a high-assurance thought leader, serial entrepreneur, and system and process architect. He is currently Director of Innovation at Olenick & Associates, Co-Director of the Internet Assurance Laboratory at the University of Illinois at Chicago, and Co-Chair of the X9 D14 working group developing a standard for automated trading quality management systems. Binder is the author of the definitive Testing Object-Oriented Systems: Models, Patterns, and Tools and two other books. He received the MS in Electrical Engineering and Computer Science from the University of Illinois at Chicago and the BA and MBA from the University of Chicago. He is an IEEE Senior Member, ACM member, and holds the CSDP.